Thanks to its central location at the heart of the rear Bregenzerwald and the huge choice of sports and activities, the holiday resort of Au has become a renowned tourism center in summer and winter alike. Outdoor fans can enjoy walking, hiking, cycling or mountain biking. Winter aficionados will find a real ski and snowboard dorado in the scenic Diedamskopf ski region. The village itself has still maintained its authentic flair, featuring historical farmhouses and a marvelous Gothic and Baroque-style parish church (St. Leopold) built in 1390. 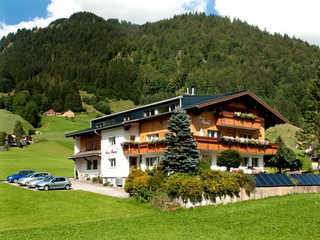 Guests staying in the Au-Schoppernau holiday region for 3+ nights receive the Bregenzerwald Card for free. The whole area boasts a myriad of places worth visiting and lends itself also to outstanding sports and activities amid unspoilt nature. 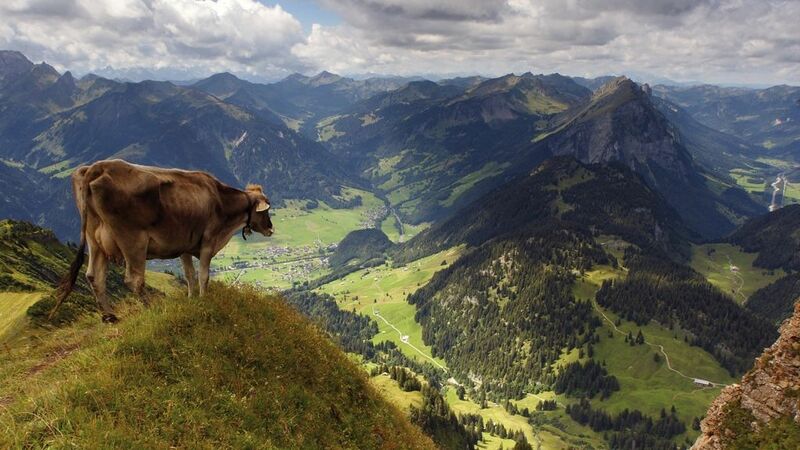 The valley basin of Au-Schoppernau offers a huge choice of leisurely trails and nordic walking routes. Some 200 kilometers of signposted hiking trails await you here. Outdoor fans can also try fun-packed canyoning, white water paddling or swimming in a heated outdoor pool. A top modern 8-person mountain gondola takes nature fans right on top of the Diedamskopf hiking area – one of Bregenzerwald's most scenic vantage mountains and trailhead of countless wonderful Alpine tours. Further highlights: paragliding launch point, great panorama restaurant, sunbathing terrace with deckchairs, uninterrupted views of the stunning Alpine scenery! Live music, themed summer buffets or gondola rides with cheese tasting rank among the favorite programs. The scenic Bregenzerwald holiday region promises memorable days in lovely Au (1700 inhabitants) – a winter vacation for all ages and preferences in one of the quaint guesthouses, hotels or holiday apartments. Cross-country skiing enthusiasts can choose from 62 kilometers of Nordic ski tracks leading right across the picture-book winter wonderland. The Diedamskopf ski mountain at 2090 meters above sea level, offers 44 kilometers of varied skiing terrain plus fine powder snow slopes. Unlimited fun guaranteed also for snowboarders, toboggan and sledding fans or snowshoe hikers. Additionally, romantic horse-drawn carriage rides are scheduled in winter.